The DCS CashSpot is an all-in one solution ideal for convenience stores, grocery stores, and other businesses looking to dive into the financial service industry. 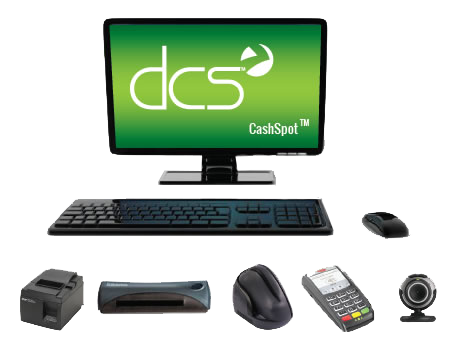 DCS CashSpot™ offers check cashing, bill payment, money orders, money transfer, pre-paid debit cards, phone PINs, Top Ups, Visa gift cards, Cashing Plastic™, and more! With DCS CashSpot™, open new revenue streams for your business and provide your customers with expanded offerings and convenience, a true win-win. 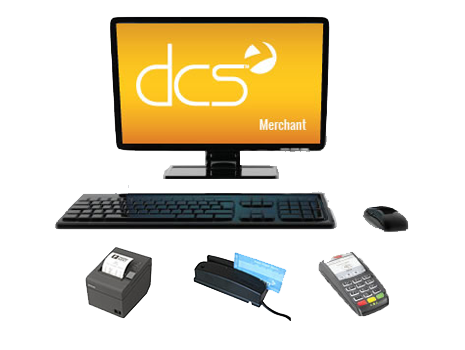 If you are wanting to offer a full suite of financial services, the DCS CashSpot is the system for you. Bill Payment System: Access to thousands of billers with varying posting times to ensure your customer can make their payment safely, securely, and on time. Pre-Paid Debit Cards: Sell and reload Netspend cards. Earn commissions for every card sold and every time the customer uses the card. Also earn when a customer reloads their card at your location. Gift Card Buy Back: Buy back customers unwanted gift cards.